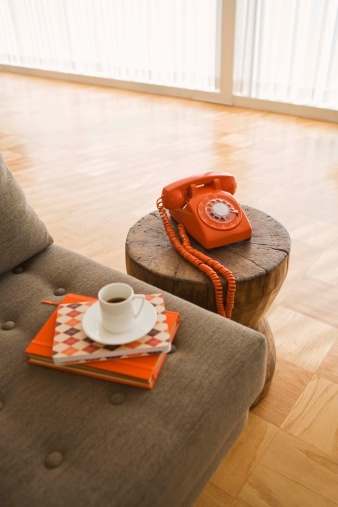 Heat stains on a sofa are fairly common, particularly if you drink hot beverages like hot coffee or tea. Even resting a hot mug on the arm of a sofa may cause an unsightly stain on a delicate fabric, ruining the look of an otherwise pristine sofa. However, the sofa needs to be washable to remove stains yourself. Otherwise, you may need to hire a professional cleaning service or take the damaged fabric to a dry-cleaner if it is removable. Hot food and drinks can cause heat stains on your sofa. Brush any burned areas with a clean, damp toothbrush with firm bristles to remove as much charring as possible. Do not use commercial solvents at this point, and avoid dish soaps and cleaning products, even if they are intended for cleaning your sofa. These cleaning products may have an adverse reaction when mixed with charred fabric and could spread the stain. Make a mixture of 10 percent dish soap to 90 percent distilled water in a spray bottle or clean reusable container. Do not make the mixture in leftover cleaning solution bottles that may still contain cleaning agents that could damage your sofa. Spray the dish soap mixture onto the stained area of the couch and allow it to sit for 10 minutes untouched. Avoid getting the mixture on areas of the couch that do not need cleaning. Gently brush the stain with the bristles of the toothbrush, working in the direction of the grain of the fabric. Press a clean cloth or paper towel onto the stain to remove the excess liquid. Do not rub the stain--simply blot the area. Pour a small amount of distilled water directly onto the stain. Do not soak the fabric. Brush the area once more and pat dry with a clean, dry cloth or paper towels. Repeat the process if necessary.